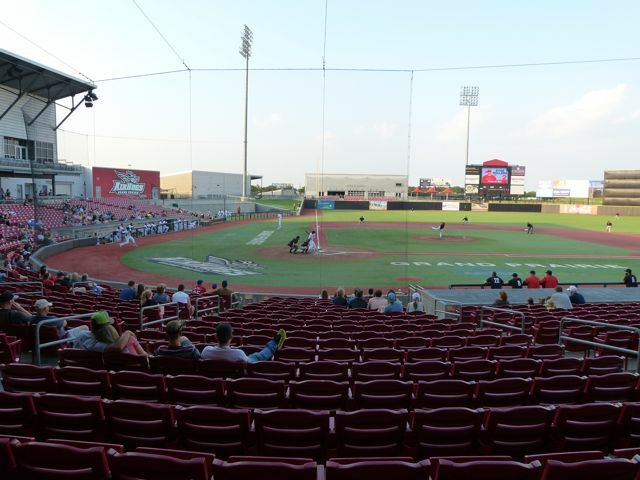 The Grand Prairie AirHogs, a member of the independent league American Association, play at AirHogs Stadium. 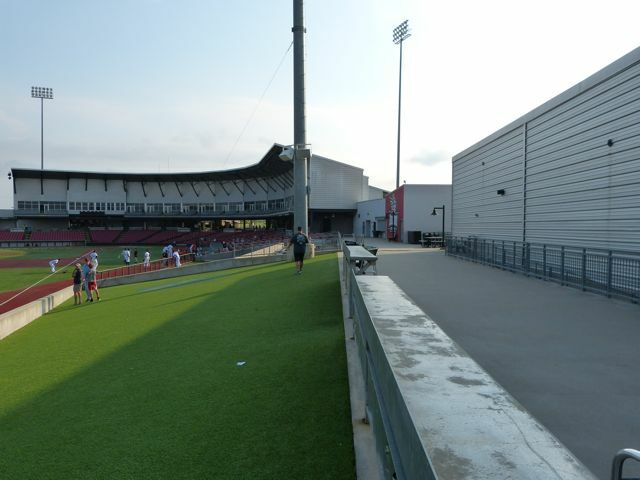 It was built in 2008 and seats 5,445 people. 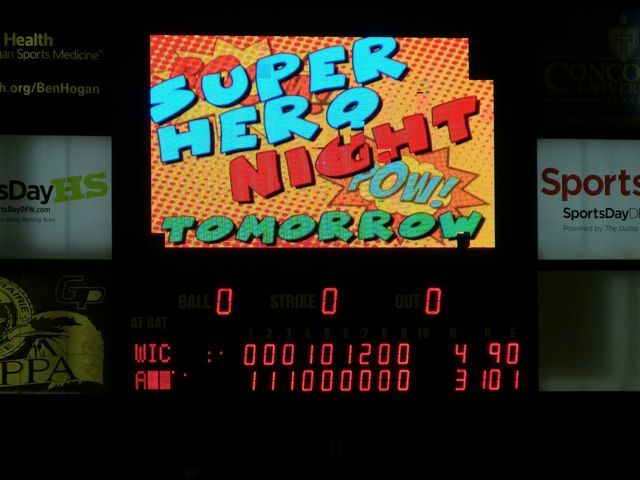 Attendance tonight was 1,492. 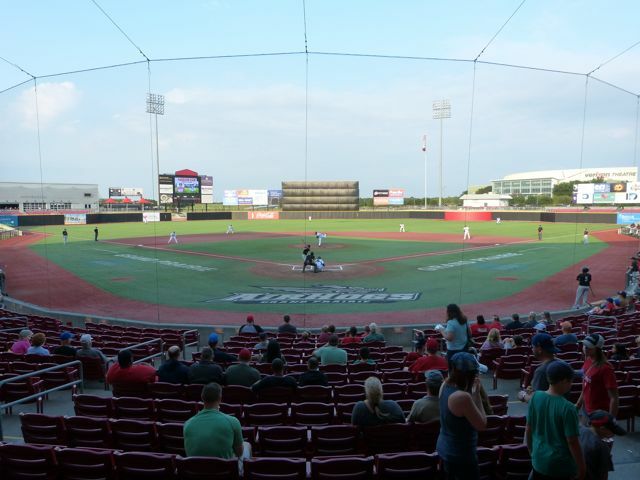 The AirHogs were playing the Wichita Wingnuts and lost 4-3. 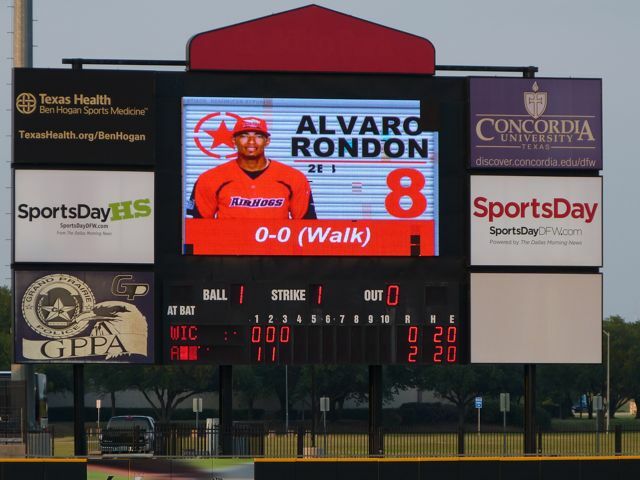 The box score was Wingnuts R-4, H-9, E-0 and Airhogs R-3, H-10, E-1. The field lines are RF-330', CF-397', LC-366" and LF-330'. 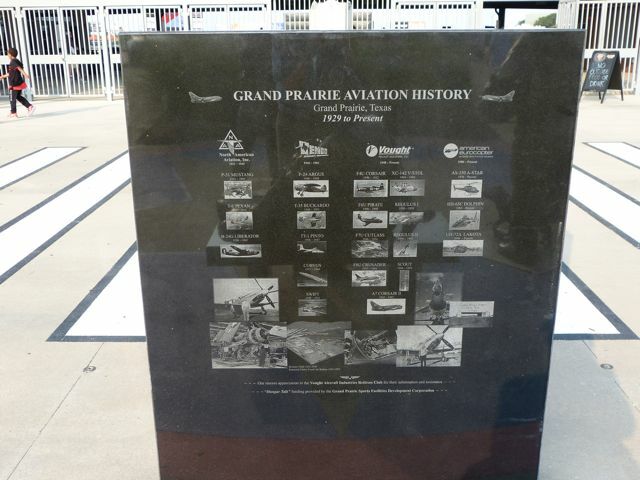 The area of Grand Prairie has a long history with the defense and aviation industry. 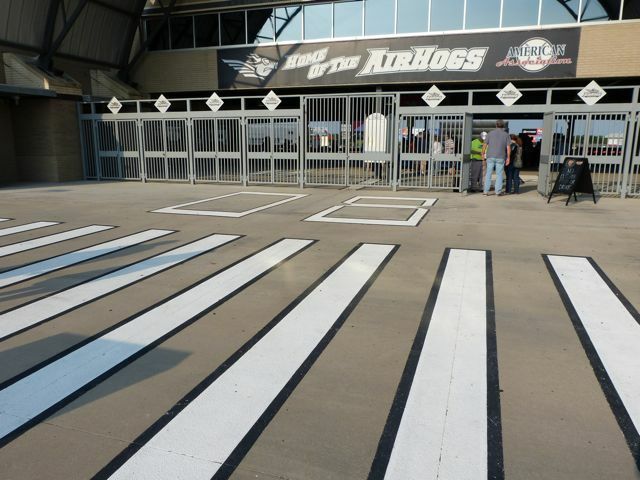 The entry to the stadium looks like a hanger. 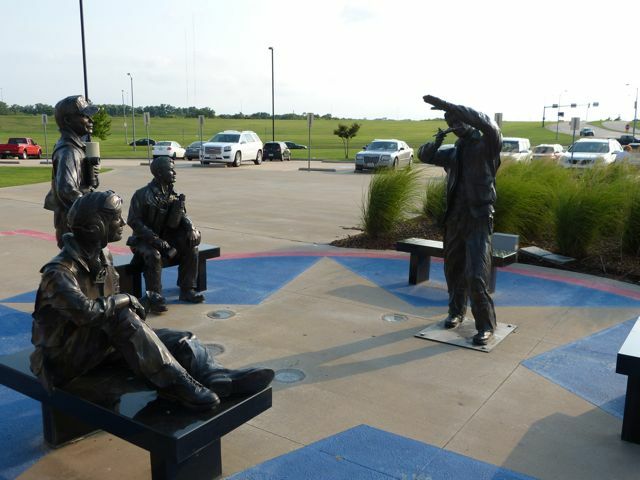 There is a statue grouping of WWII aviators, runway lines on the stadium entry and a monument telling about the aviation history. 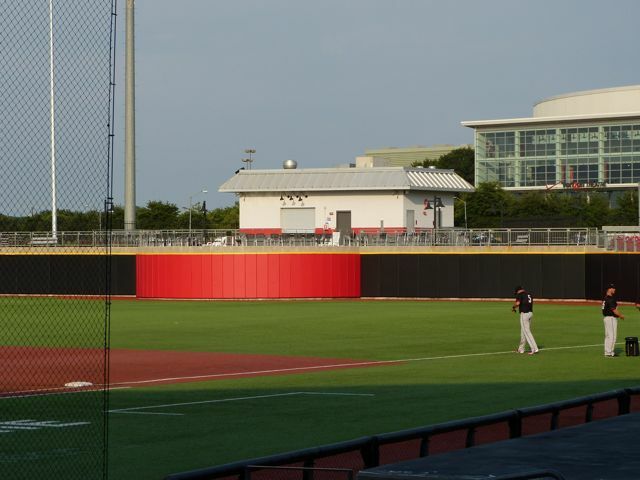 The field is synthetic turf, except for the pitcher's mound and the homeplate circle. 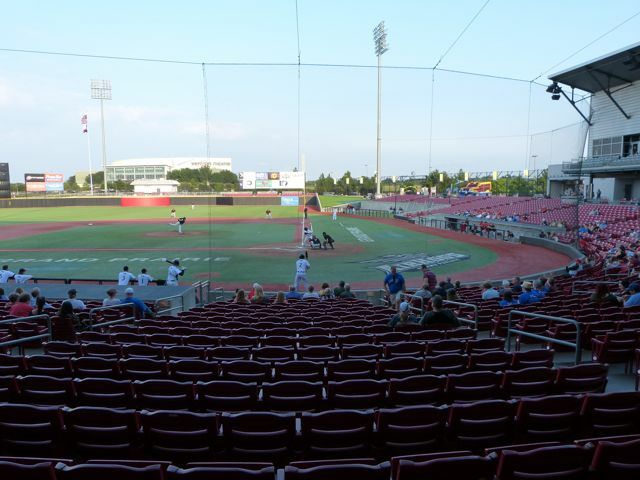 The broadcast area is on the 1st base side rather than directly behind Home. 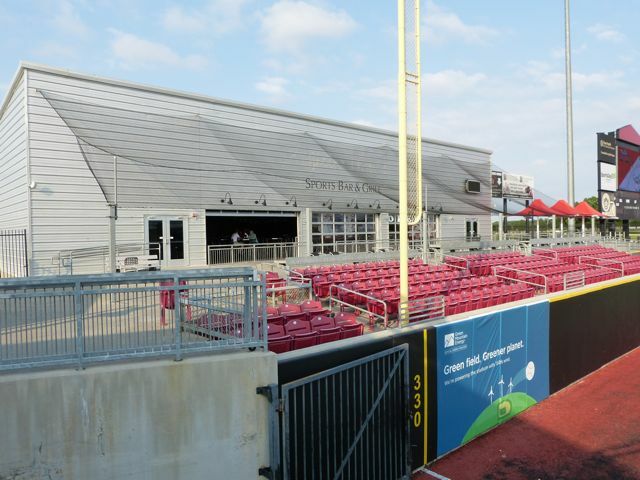 There are 15 suites and 1 group area at the end of the 1st base suites. 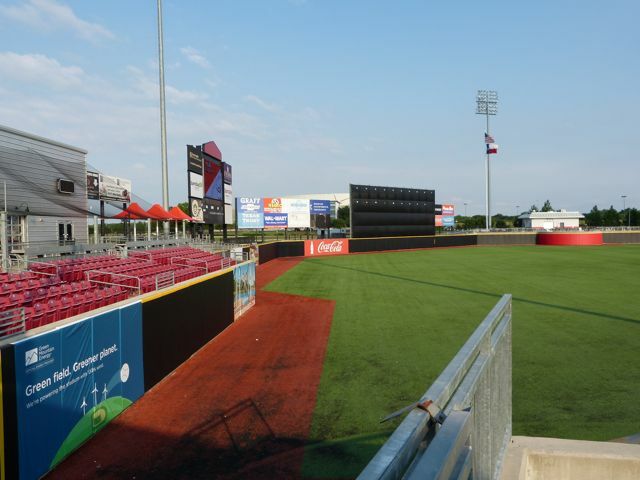 In left field beyond the seating is a very large Sports Bar. 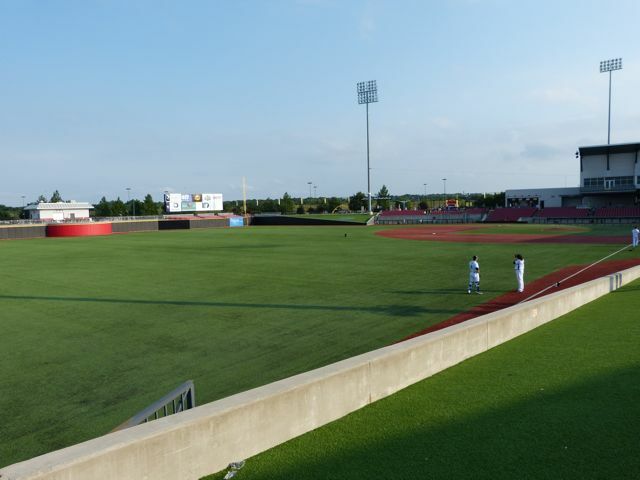 There is a red semi-circular bump out in right field. 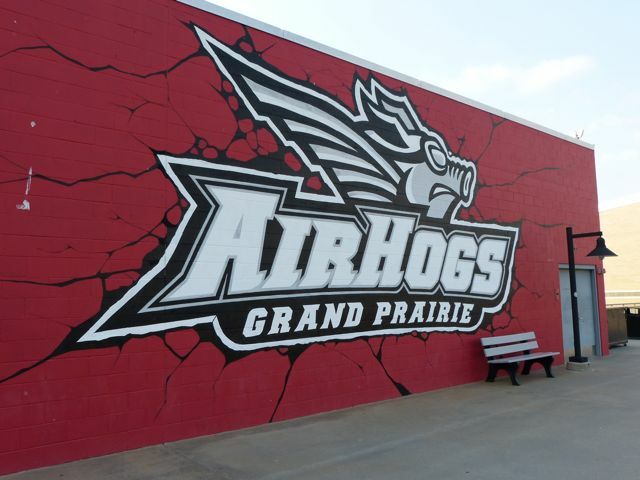 A building down the 3rd base concourse has a huge AirHogs logo painted on it. 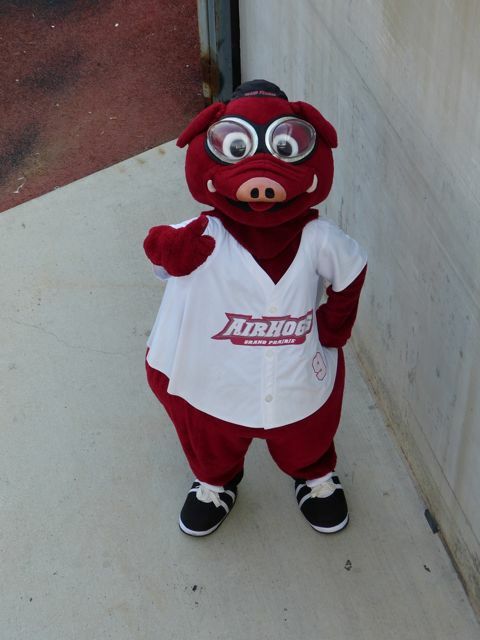 The mascot's name is Scout. 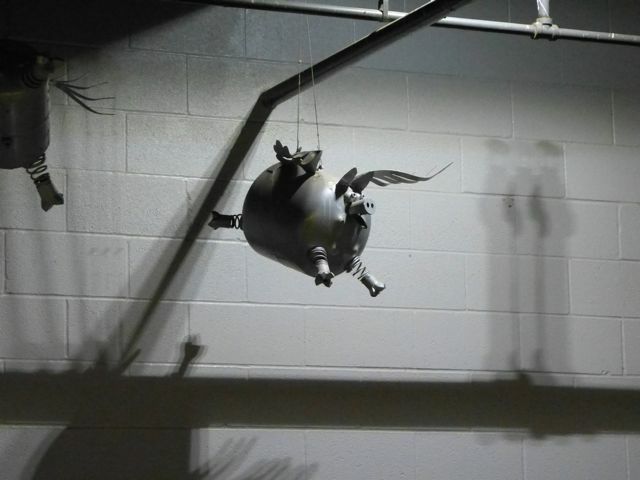 There are interesting small sculptures of pigs hanging outside the men's restrooms. 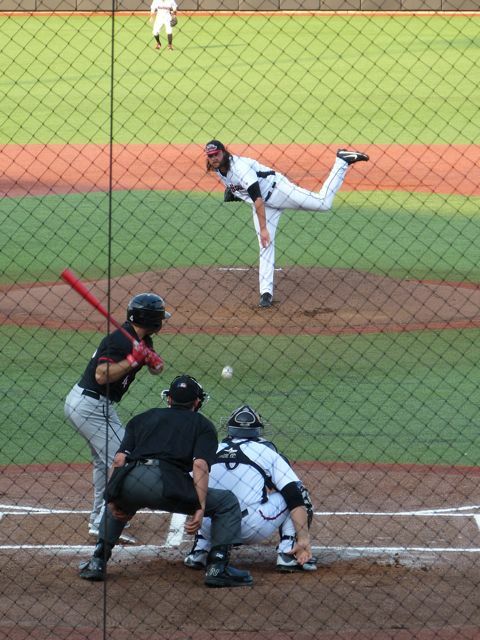 At the top of the 7th the new AirHog's pitcher walked the first two batters. 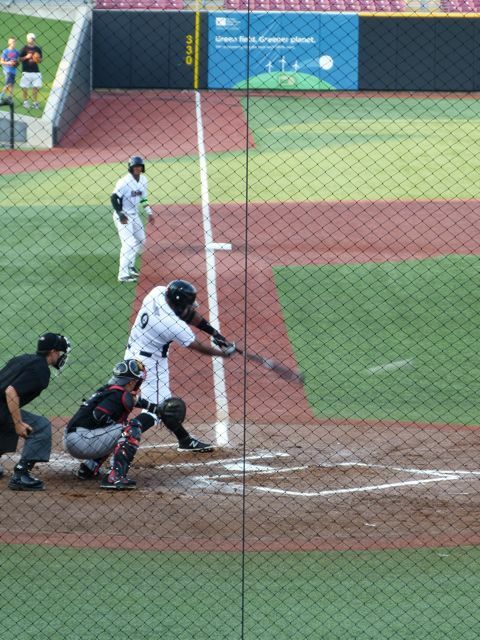 A double steal by Wichita moves the runners up, followed by a wild pitch scores one and ties the game at 3-3. 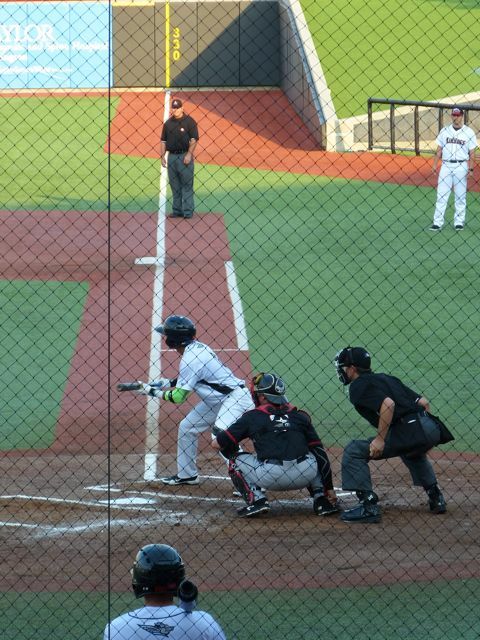 A one out single gives Witchita the go ahead and winning run. Louis Tussaud's Palace of Wax-showcases realistic wax figures portraying personalities from history, religion, childhood stories, Hollywood and horror. Fee. Ripley's Believe It or Not! Odditorium-offers a collection of curiosities, oddities and illusions gathered by Robert Ripley. 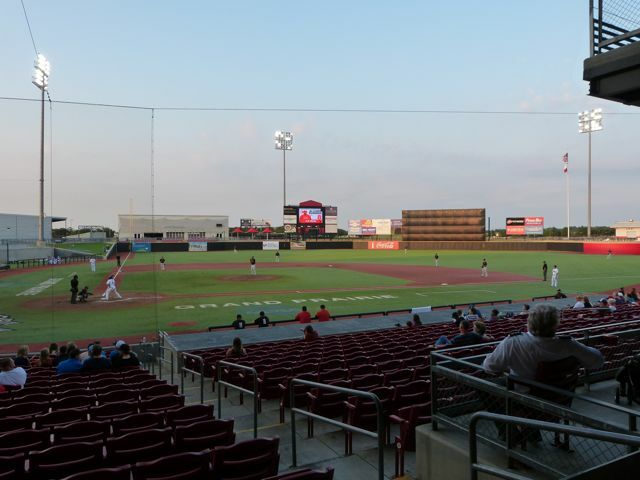 Simulations allow visitors to experience an earthquake, survive a Texas tornado and walk across a bed of hot coals. Fee.